Meet Our Vendor: OlyKraut | Discover the best artisanal and craft food makers in the Pacific Northwest! When I started to wind down my career as a party animal in my late twenties, I began to think a lot more about how I was truly responsible for my own health. I started to put an effort into finding clean, healthy food and that wasn’t always the simplest process. I realized that we need to really support the small organic farmers who are growing the best produce and taking care of our soil and water so we might continue to have these healthy options into the future. I believe that food processors have a unique opportunity to purchase far more produce and other ingredients from our local farms than the average consumer. I started OlyKraut out of the desire to make a living off of something that I saw as helping to build the kind of food system that I want to see and we’ve been working on that for the last ten years and I look forward to buying even more produce in the future! 2) Where do you source your ingredients? We purchase from several farms in the area. Most of our cabbage is coming from Dharma Ridge Farm this year and it’s been a beautiful crop! We buy our cucumbers and dill from Rising River Farm. We have also made purchases from Starvation Alley Farm, Wobbly Cart Farm, Helsing Junction Farm, Kirsop Farm, Calliope Farm, and Siri and Sons. We also purchase from Organically Grown Company, High Quality Organics, and the Olympia Food Coop. 3) What will our fans find at your booth this fall? 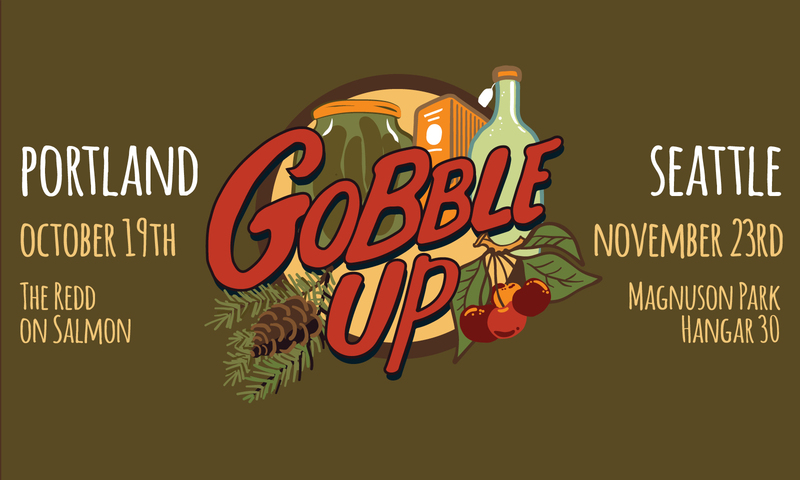 We will be sampling our four year-round flavors as well as our seasonal Pickled Cranberries! They are a treat and sourced from Starvation Alley Farm down in Long Beach, WA. We will also be sampling our favorite crowd pleaser, OlyKraut Smoke & Kale and Sour Cream Chip Dip with tortilla chips, and maybe some other delicious combos to help give you some ideas for your culinary gifts or festive feasts this holiday season. 4) What are your goals for your business in the next year? 5) What’s your favorite part of this food movement? The community and all the deliciousness we crank out! I love being connected to the growers and the processors and having a connections to all parts of our food system.